Don’t want to give dad another boring tie this Father’s Day? Neither do we! 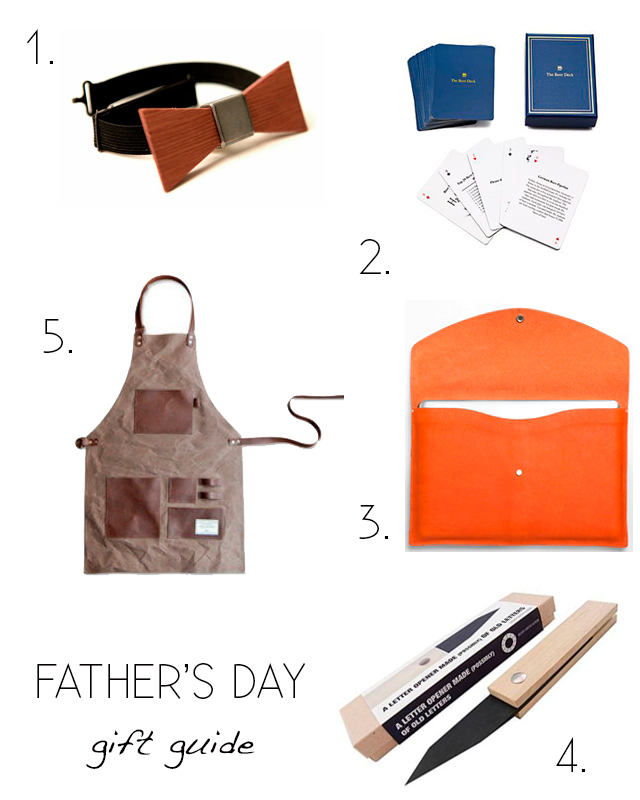 Here are our five finds for a gift that will show dad he is number one this June 15th. For the dad always dressed to the nines, we love this wooden bow tie by Wood Thumb. Made from reclaimed California redwood, this bow tie is a fresh take a classic staple. 2. The Beer Deck // Frausto & Co.
For the dad that is an ace of brews, we love this beer card deck by Frausto & Co. Play a game of poker while becoming a beer aficionado with dad! For the dad always traveling, we love this artisan leather laptop envelope by Shinola. Shinola leather is produced in one of America’s longest-running tanneries—Horween, a family-owned company founded over a century ago by Isidore Horween in Chicago, Illinois. For the dad always at work in a sea of papers, we love this letter opener made of old letters. That’s right, the blade of this letter opener is constructed from 100% post-consumer recycled paper. For the handy dad, we love this gentleman’s apron by TRVR. With four leather pockets that will fit anything from levels to screwdrivers and sleeves for a pen and hammer, this gentleman’s apron is perfect for the dad that is always misplacing things. Mom’s awesome, and she deserves something special. 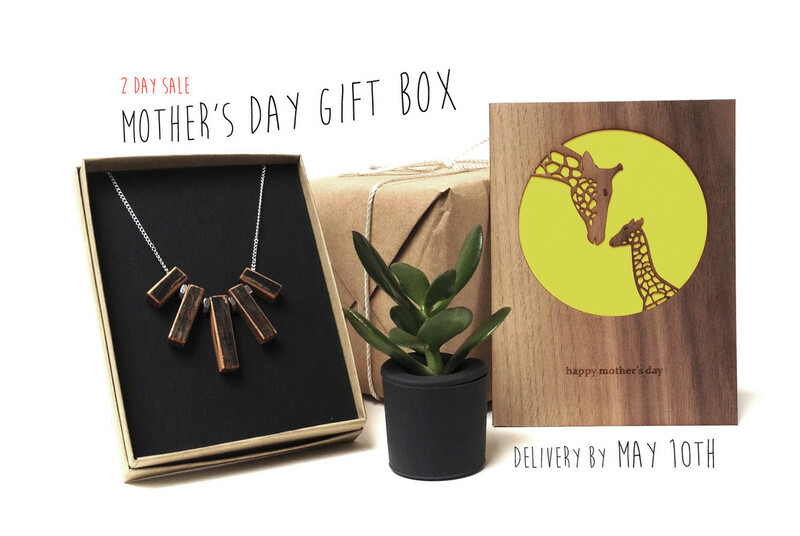 The Wood Thumb Mothers Day Gift Box includes three wonderful things made by Wood Thumb and some of our friends at Rootcup and B-Spired cards. Wood Necklace. Necklace made from reclaimed bourbon barrels and tiny hex nuts with silver plated band. Wood Greeting Card: Happy Mother’s Day greeting card made from walnut with yellow backing. Our favorite part of giving a gift is the hunt to find THE perfect gift. Living in the Bay Area, we are surrounded by creative artists, designers, makers, and thinkers, making the hunt that much more interesting. 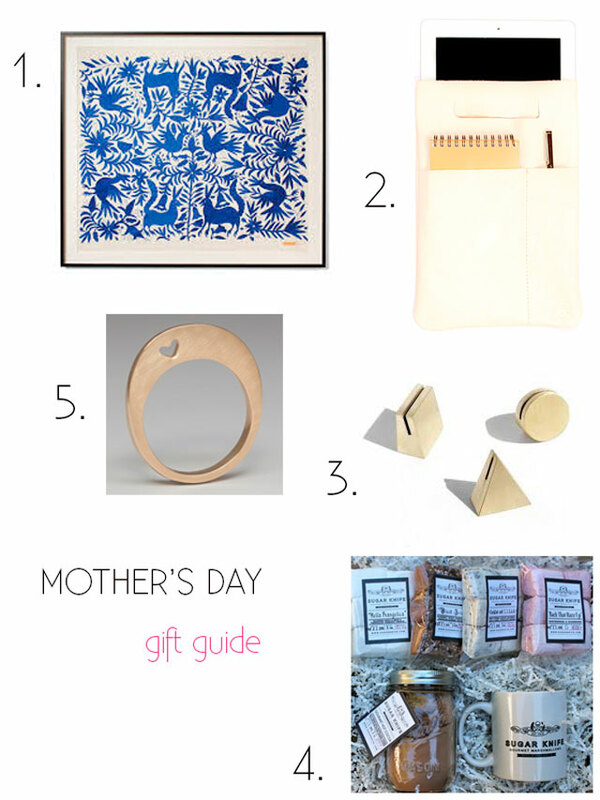 Here are our five Bay Area gift finds that will make your mama proud. Glitter, sparkle, and shine this holiday season with our top ten Etsy finds! From printable wall decor to decorative pillows to abstract photography, here are ten accents that will make your home decor festive and fun this holiday season.